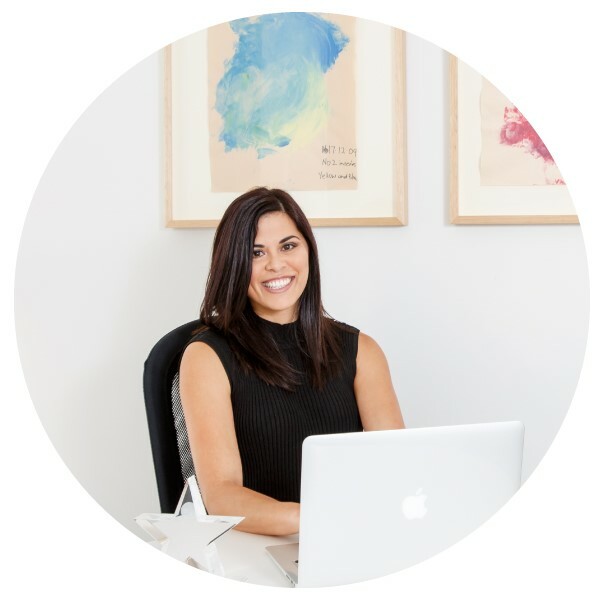 When Michelle Moloney, Director of mini Nanny Agency, stands up to greet you, it takes only a moment to see why she is breathing fresh life into the nanny industry. Her smile is warm and genuine and she is quick to greet you with a hug, and break out in laughter. She is vibrant and charming, with an effusive energy that is contagious – and when she sits down to chat, you know she is ready to put that energy into getting to know you. These traits are perfectly aligned with mini where they adore kids, and pride themselves on making the journey of finding a nanny (both for the families and the nannies!) easy, personal and, above all, fun. Michelle, who has been at the helm of mini for the past four years, knows the value of personalised service and the team at mini will always take the time to get to know every family and nanny that they work with to ensure the best possible match. It’s about time that we took that same approach, and got to know Michelle as well! Michelle, tell us a little bit about yourself and your background. Well, I’m a yogi at heart, and obsessed with Dr Pepper (not the drink, my dog!). I love nature, which probably originated from my early childhood growing up in the villages of the Philippines. But really, I’m just a girl that has always had a burning desire to do something meaningful by building genuine relationships. That explains my career perhaps! What brought you to mini? It was an introduction that was truly one of the best things that ever happened to me. I had just finished a recruitment contract and started a new job working with a small boutique recruitment agency. During that time, I also began managing mini. Soon I realised where my real love was, and one year later, boom, mini became my baby! What makes mini unique as a nanny agency? mini is not for the ordinary! We live for fun, and aspire to have fun every single day. Our mini team is incredibly personable – an important trait as that’s what our business foundation was built upon. And we are responsive. There’s no waiting game here at mini, and our clients can vouch for that. But our most unique characteristic is that here at mini we genuinely want to build sincere, authentic relationships – these relationships are what enable us to find the perfect fit. What value does mini bring to their clients? The mini team is here to solve Australia’s number one problem – childcare – while at the same time helping lovely, qualified and trustworthy individuals find meaningful forever jobs with a genuine purpose. How do you find such incredible, trustworthy nannies? Well, I can’t tell you all of our secrets otherwise we’ll be out of business! But I can tell you that at mini our expertise lies in our talent sourcing innovation. Our clients often say, ‘If anyone can find a nanny, it’s Michelle!’ We have an extensive in-house database with over 800 registered nannies, and also utilise some of Australia’s top job portals (and no, we aren’t talking about findababysitter.com!). Nanny referrals also go a long way and we take our families’ opinions very seriously. We ensure that each of our nannies is recruited using a rigorous onboarding process. It starts with the family registration, which each family completes and which we use to start their personalised nanny search. Then we begin advertising, including contacting suitable nannies from our database. This leads to a shortlist of qualified potential candidates. From here the real hard work begins because at mini we are meticulous in our nanny screening. First we have a phone call with the potential nanny. If this goes well, we meet them for a face-to-face interview to really get to know their personality. We run validation checks, including police checks, blue cards, first aid qualifications, social media checks and, of course, references. It is only after all this background screening that we begin coordinating family and nanny interviews. Of course our job isn’t done at mini. We’re there to relay feedback, participate in negotiation (always the fun part!) and supply all the onboarding paperwork once the perfect fit is found. This ensures that our clients are set up for a successful nanny relationship. Recruitment is an emotional experience for our clients and ensuring there is clear communication throughout the whole cycle is key. You never know who or how your candidates will meet you on your path again! How does mini help manage and meet the expectations of families and nannies? That easy – educate and share knowledge! Personally, what has been your biggest success as an entrepreneur? Biggest failure? I don’t refer to myself as an entrepreneur – I prefer the term business owner or director! I feel that after four years in business, it is wonderful that we’re still here and that that’s an achievement every day. I really am grateful. Sure I make mistakes (little ones!) all the time, but I’m an improvement seeker and always want to grow and learn from them. Where do you see mini going in the future? I appreciate the hustle and bustle of small business, so for now I think we’ll remain a small business! If you’d love to know more about mini Nanny Agency or Michelle, reach out here. Michelle is always keen for a chat or a coffee or, even better, both!